ZÜCA has been on a roll since 2004, making lives better—and making people smile—with our patented, super-durable and versatile, fashionable carry–all bags. We have revolutionized how people transport their belongings by helping them get around in a healthy way. Kids can transport all of their books without straining their backs, and they can grab a seat anywhere. Professionals can organize and protect their tools and samples on the go—and look totally put together for every client meeting. Travelers & pets can move in style. ZÜCA bags are perfect for today´s fast-paced, always-on-the-go lifestyles, and are now a global sensation. Who tells our story best? Our customers! We deeply appreciate their enthusiasm and support. Our goal is to keep innovating so we can serve the needs of more customers in new markets worldwide. We mean it when we say we're passionately committed to making our customer´s lives better. The best part? ZÜCA isn´t just made to love—it's built to last. Our story is a happy one and we've only just begun! ZÜCA introduced its first products in 2004 and has continued to focus on developing functional and innovative products that enhance our customer’s active lifestyles. Our assortment of patented products has successfully evolved through a history of innovation, partnerships, and OEM (Original Equipment Manufacturing) support to other brands. ZÜCA has always been end-user focused in our product development efforts and has incorporated consumer input as well as relationships with leading brands in multiple markets to spur innovation. Over the years, ZÜCA has broadened its product offerings and capabilities to support a diverse set of worldwide market needs. ZÜCA began as a “rolling locker on wheels” for kids to safely cart heavy books to and from school. With sturdy wheels and a built-in seat, ZÜCA was granted a patent for its unique exoskeleton “framed” luggage in 2004. Soon, the ZÜCA Sport became a popular item with students, ice skaters, and beauty stylists around the world. In 2007, based on feedback from frequent travelers and airline professionals, ZÜCA launched its first travel specific product line with the Pro model. In 2008, Riedell USA was the first to order a custom co-branded ZÜCA bag to resell to their customers. Riedell distributed the product into their ice skating and roller derby markets. MAC cosmetics took notice in 2009 and soon ZÜCA was developing and shipping a custom unit for their specific needs. Working with professional make-up artists and international brands, ZÜCA began to demonstrate its unique ability to identify specific use case requirements and then develop products that solved real customer needs. In the healthcare field, Banyan reached out to ZÜCA to develop a new rolling bag that could meet the needs of an emergency response cart for doctors’ offices. Developed around the ZÜCA Pro platform, this co-branded product was launched into the marketplace by Banyan and their sister company HealthFirst in 2010. Next came the emergency preparedness market with LifeSecure helping develop the MobileAid bag (based on the ZÜCA Sport) to serve the commercial and consumer first aid markets. 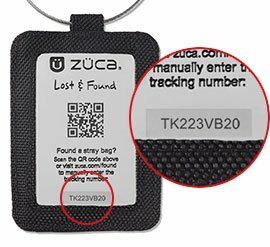 In late 2013, ZÜCA was approached by an avid disc golfer associated with the Half Moon Bay Disc Golf Company who had found a ZÜCA Sport product on a disc golf course. Kris Mickelson was engaged to complete a market assessment for Disc Golf. In 2014 ZÜCA started to tinker with various design options utilizing the Sport platform. In early 2015, Joe Robinson started testing prototypes and eventually distributed a co-branded ZÜCA disc golf cart under the Ridge Roller brand. After showing the ZÜCA cart at Outdoor Retail in 2015, other retailers clamored to carry the ZÜCA outdoor cart across multiple outlets—camping, target shooting, disc golf, general sports retailers, and ZÜCA launched the All-Terrain, the Disc Golf Cart, various Backpack Carts, and our Compact Disc Golf Cart to satisfy demand. Dynamic Discs is a valued OEM partner with co-branded backpack carts and accessories that are distributed across their disc golf retail channel. With the success of its in-line products and OEM business, hundreds of thousands of ZÜCA Bags and Carts are now rolling under 40+ brands around the world. ZÜCA continues to drive its innovation pipeline based on its patented product platform while nurturing strong partnerships with leading brands and retailers in a diverse array of global markets.